Hello, today I have a little Spring garland to share with you that I made to put in my dining room for the Easter weekend. I was inspired to make daffodils as they are all in bloom at the moment. 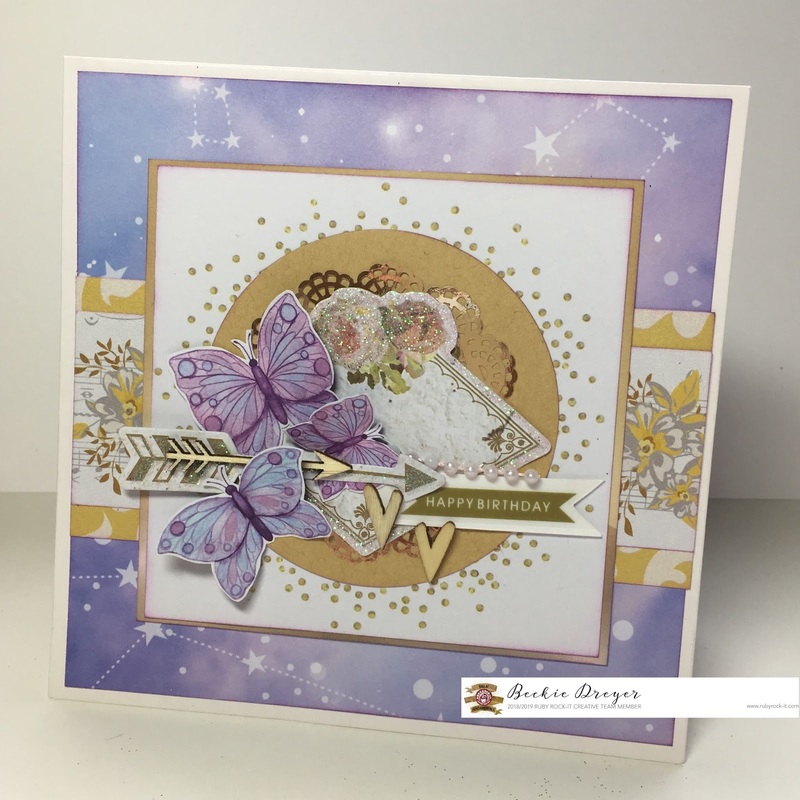 I love making flowers up and have quite a few dies which I switch between using. 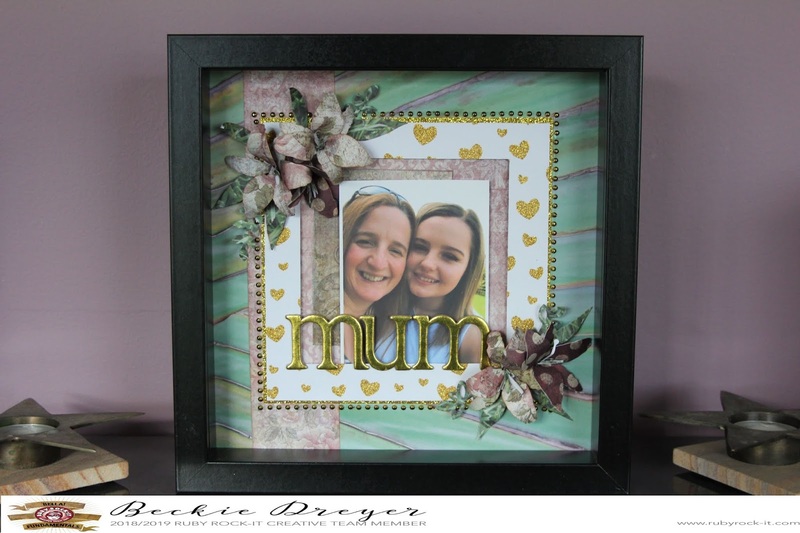 The little tutorial here can be adapted with any of your flower dies which you may have. 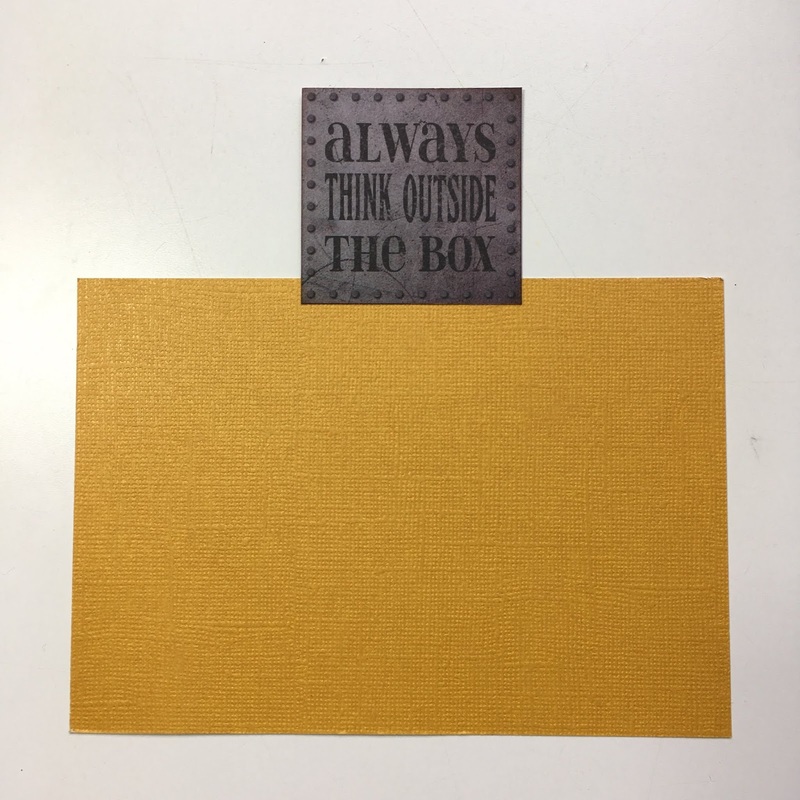 First I cut some petals in a range of yellow papers from RRBF. The Fusion collection is brilliant for this. 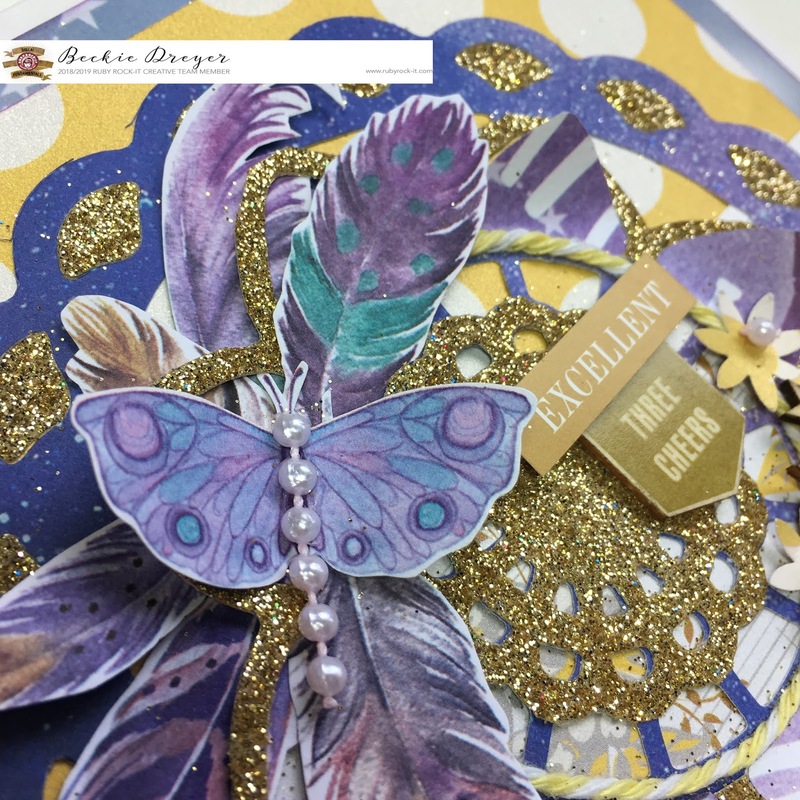 I also used the Foiled Hearts and Strips collection. Next I inked the edges of each of the petals with Tim Holtz Burnt Marmalade and the blending tool to create a subtle edge. To achieve this start on your mat in circular movements before coming in and catching the edge of your paper. 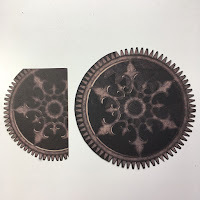 Next I cut some circles out and then cut to the centre in a spiral. I then spun them around starting from the out side until I came to the middle where I secured them with a glue gun. Once all my pieces where ready I put them all together to create the flowers. Paper is so pliable so I was able to move the petals in to the way I wanted them to look. 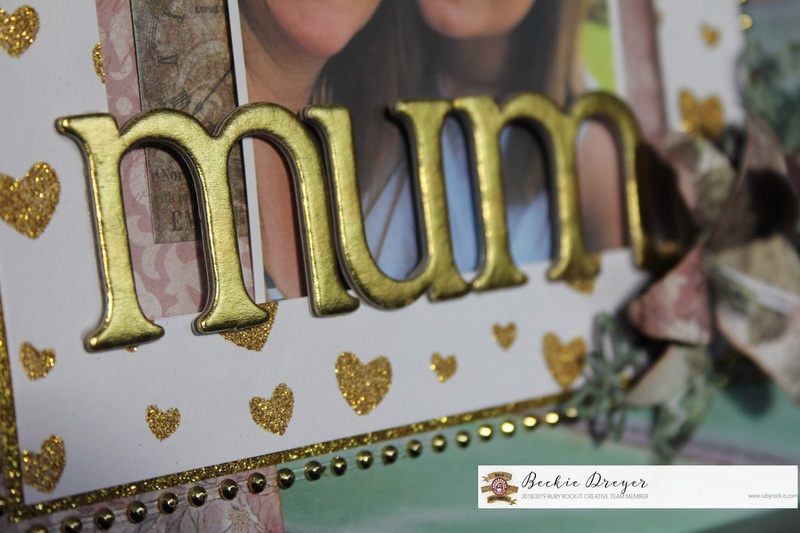 Next came the finishing touches … the gorgeous little gold rain drops were perfect to add 'stigma' to the flower. My leaves were die cut out of the Greenery papers. The different patterns on the paper give some dimension to the leaves. I took large length/amount of raffia and added a bow in the centre and glued the flowers to it. I had some 3D butterflies which were in my DT kit from when I was on the team a few years back which I added too. 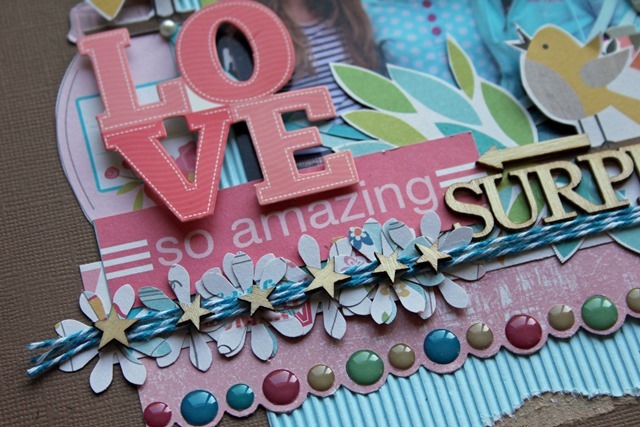 It's always good to see what wee gems may be hidden in your crafting stash! This garland can be adapted to anytime of the year using different coloured flowers. How amazing would it look at a wedding or made into a corsage? I hope I have inspired you to be creative today! Time really does fly and it is the beginning of Spring here in the UK. The weekend bought the celebration of Mother's Day and amongst all the afternoon teas we served in the café I found some time to create this little frame. I love the pink hues that are on the Bella! Greenery Flax paper which, when mixed with RRBF Faded Empire, really popped! I layered different papers on to of the cardboard mount inside the boxed photo frame, cutting out the aperture with each layer. I some times like to add some sparkle to my layouts and creations but the painfully slow and fiddly process of adding them drives me insane! But not anymore … look at this string of metallic gold bling, just stick and go. The also set off the glitter hearts in the Bella! Glitzy Gold Heart paper. Once I had added the back ground and photo I took some letters to the frame from the Faded Empire collection. To finish I created some 3D flowers from the Faded Empire papers using a die and die cut some leaves from the Bella! Greenery Grass paper. Just perfect for foliage. There are so many delightful additions to the NEW Bella Bling range that you need to keep an eye out when they hit stores as they are gonna be popular! Hello, today I am here to share a few cards that I made with the Bella! Cosmos Mini Themes. 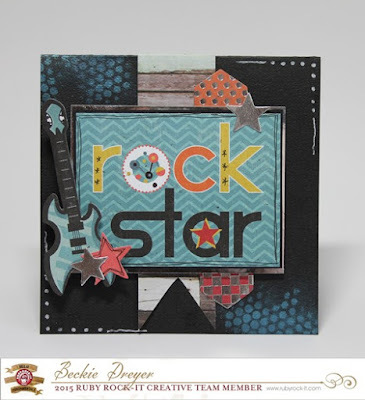 The mini themes from Bella! 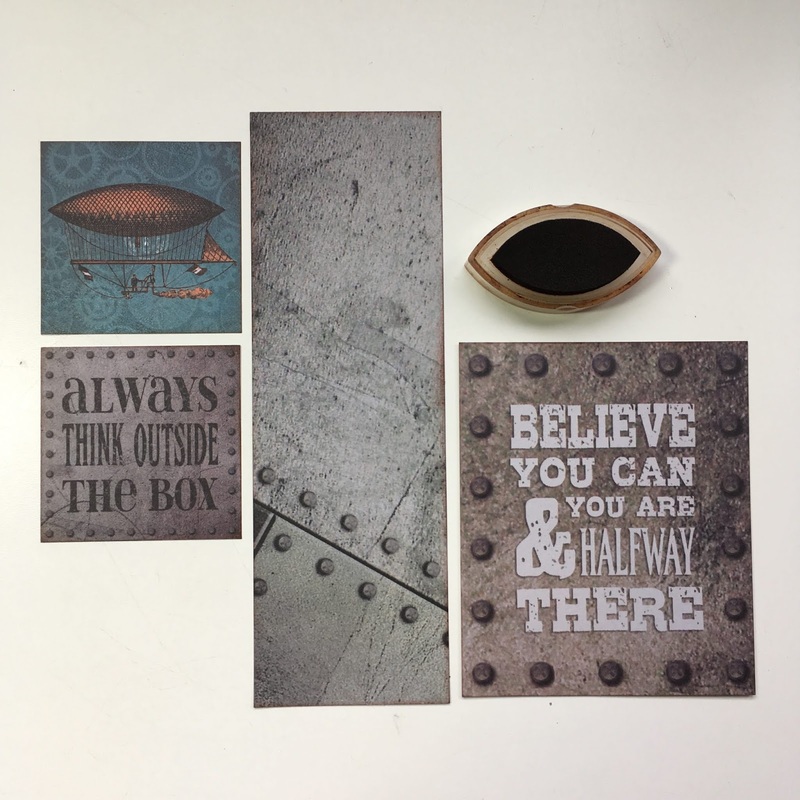 are brilliant a range for quick makes, each paper is double sided allowing more choice for your projects. To break up the purple I used the Bella! Getting Hitched collection which coordinated really well. 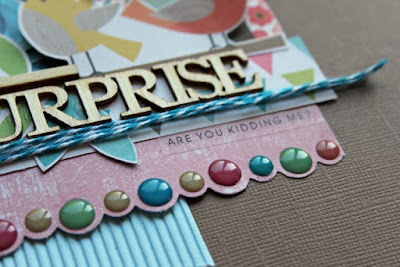 For this Happy Birthday card I used one of the toppers cut from the Manifest paper. Not being into yoga, I decided to cover the centre with a tag. I really love the wee gold dots around the edge. 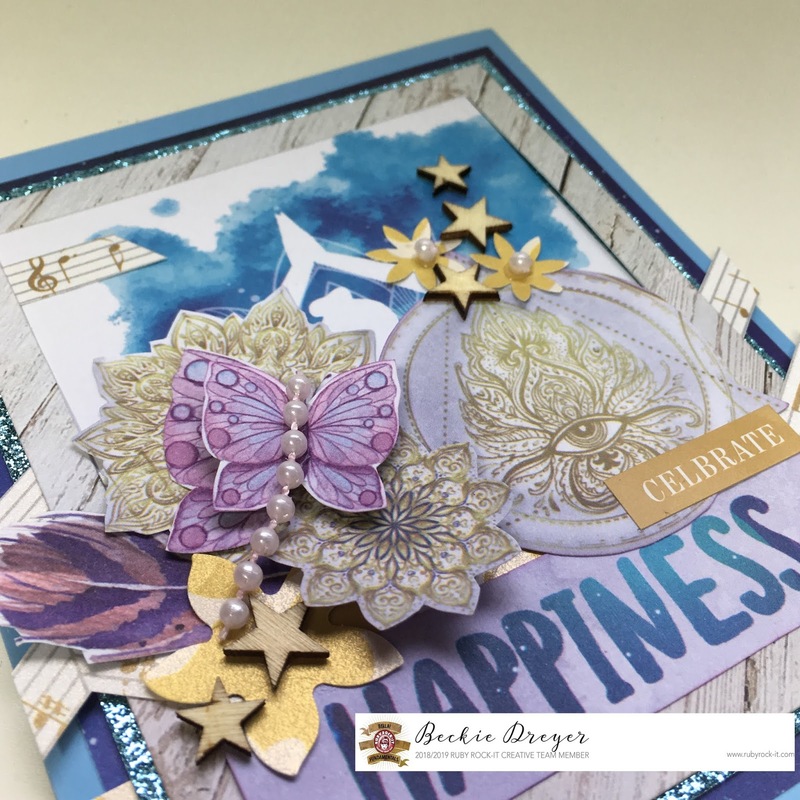 The next card I created was Celebrate Happiness. Again I used the toppers and cut some of the symbols from them before adding to the card. 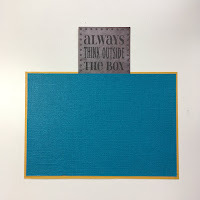 I made use of the words from the Mantras paper and cut one to become part of my greeting. 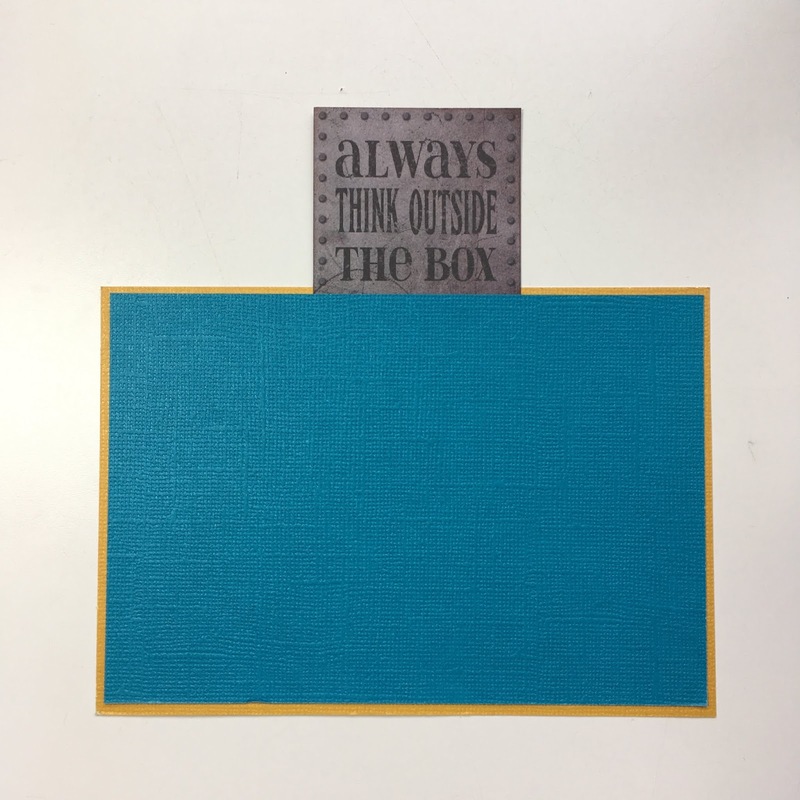 The Fundamental A6 Card Serenity Blue card blank matches perfectly with this collection. Finally came some fussy cutting with the feathers and butterflies from the papers to create this card. 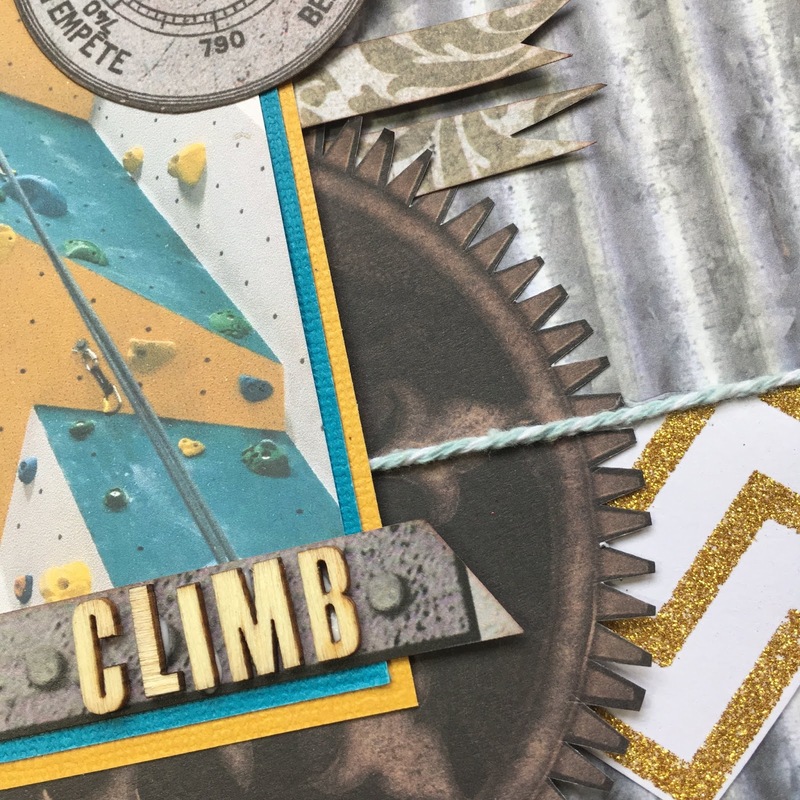 I used a die to create the background. I cut one in the Mantras paper and the other with the gold glitz paper and cut each one to make some of it sparkle. Using the cut outs these were really good for making a glitzy solid edge. The rich purple colours lend themselves to the yellow of the Getting Hitched papers but of course there are many other colours that can be used. 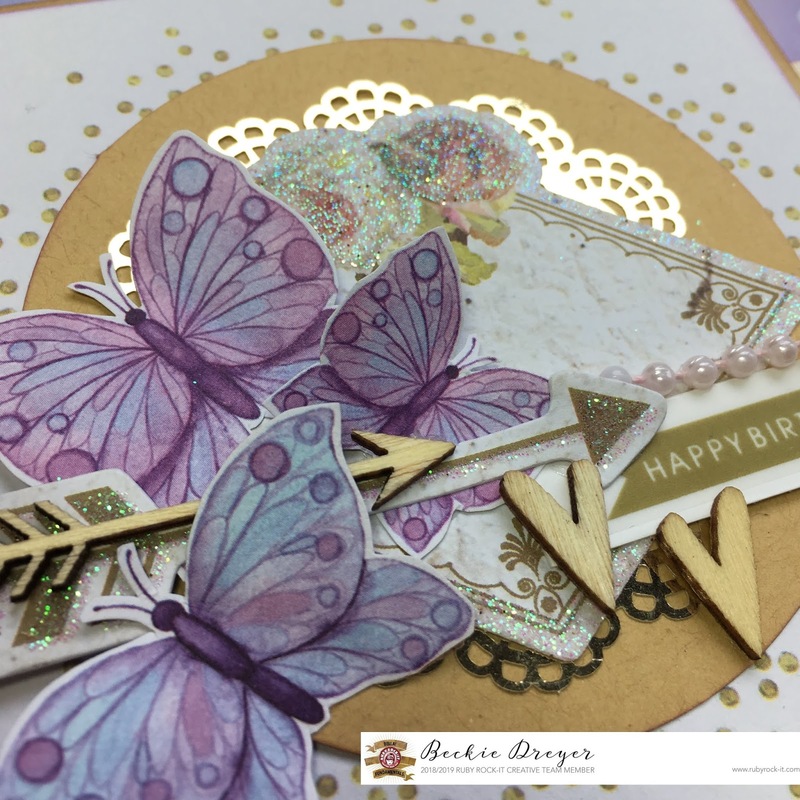 Oh and the little bodies on the butterflies are cut from the Bella! Bling. Choose the one you like and stick them in the centre of the wings! 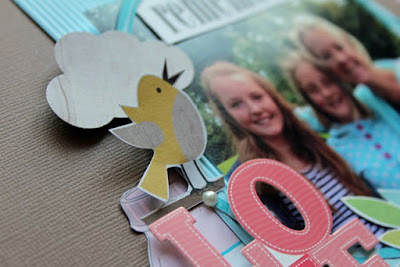 This is also a good way to use up little bits that you may have trimmed off for other projects. Hello! 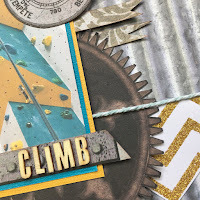 It's really hard to believe that it's been quite a while since I lasted posted on this blog, though that is about to change! 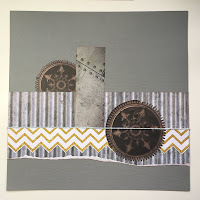 After spending a few years away from crafting and not getting rid of any of my stash I have been tempted back again. 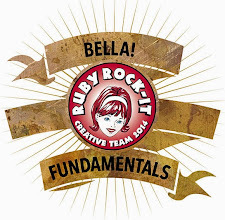 I have been privileged to design for many teams, so it may not surprise you to know that I have been asked to design for Ruby Rock It again. 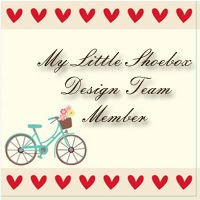 So I am re setting up the blog and found this below which hadn't been published from when I was last on the team! Enjoy seeing some of the older RRBF and it won't be long until I return here with some new inspiration! It's hard to believe that summer is nearly upon us and the weather has finally warmed up! At this time of year our thoughts always turn to Father's/Dad's/Pop's or what ever these special men in your life may be called. 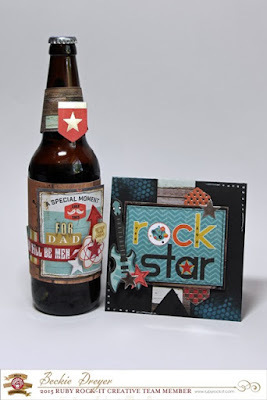 Today I am here to share with you some inspiration for Father's day with a little gift and card made using the Boy Mini Theme set. 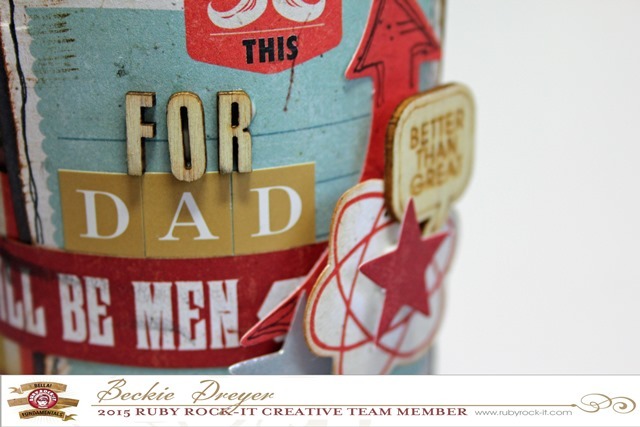 The 'Boy' Mini Theme set has some really cool greeting on the papers and some brilliant little die cuts too. 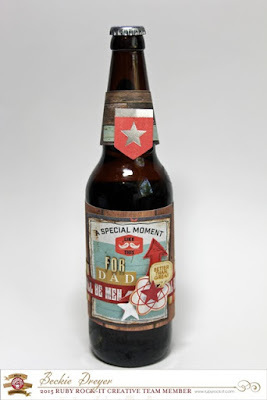 I saw an opportunity to use some of the iwood papers too to create these masculine gifts. 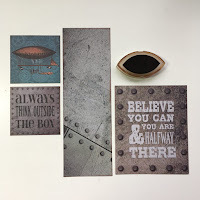 The iwood paper is used here to create a banner on the back of the card to break up the black card a bit. There is a piece of the collection which has lovely hues of blue on it as well as the brown colour. 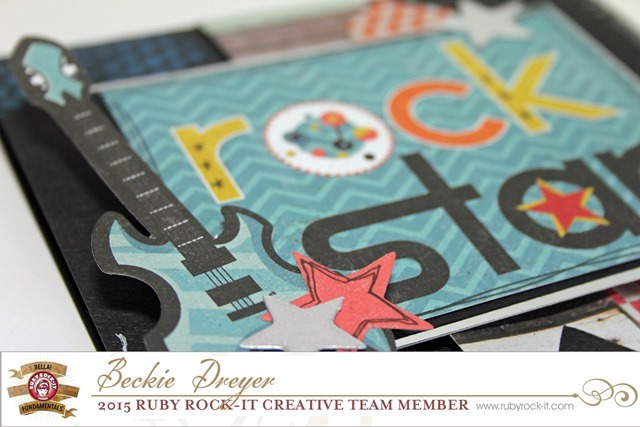 I cut out one of the greetings and then built up around it using the die cuts. 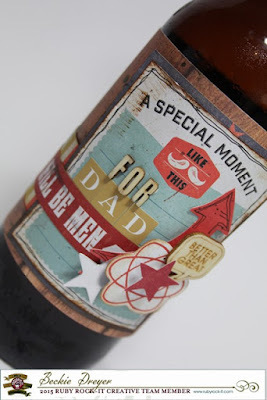 The beer bottle has some of the iwood paper wrapped around the centre and then I used the 'Boy's papers to create a label for the front. 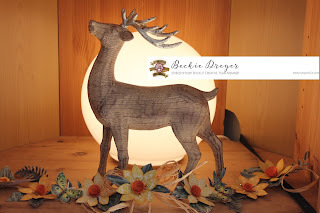 The wood veneer products work fabulously for this. Hope you have a great time creating for your father's and don't forget to look out for the Bella! 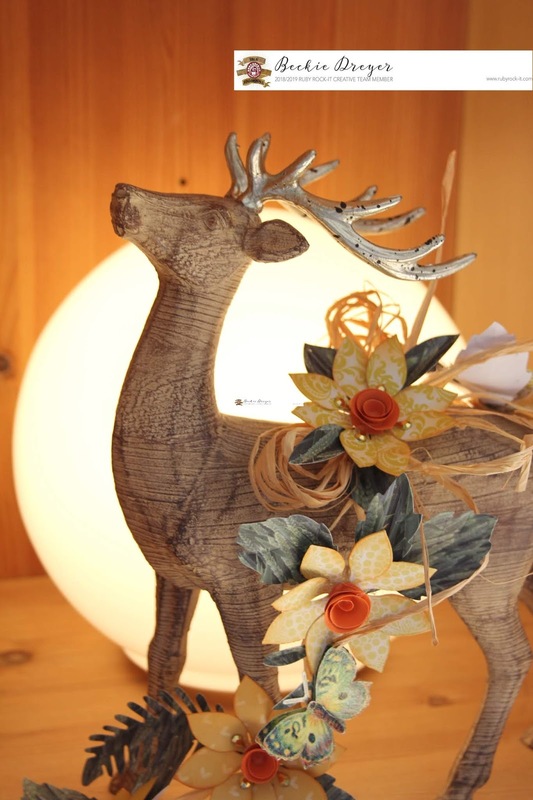 Iwood collection at your local craft supplier! Well there is seriously nothing better than starting the day with coffee, wouldn't you agree!? Today I am here to share with you a project I made to help carry my coffee's. The carrier is flat when you get it so I was able to decorate it easily. I used the iwood collection as the base as I love the rustic look it gives. 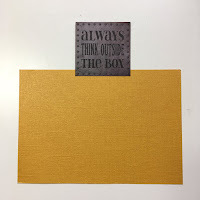 I dressed it up using the Graduation Mini Theme papers as the colours matched really well with the iwood papers. 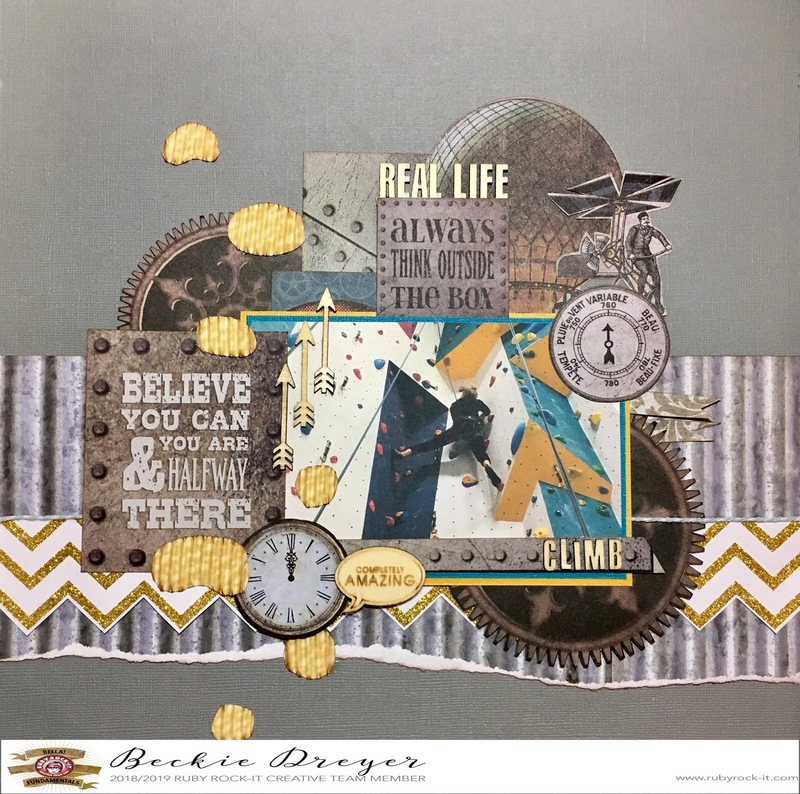 The quote I used along the top was taken from the original carrier and I liked it so much that I didn't want it not to be seen. 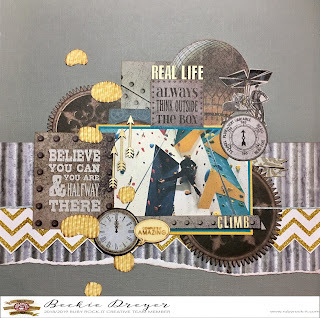 I hope I have inspired you to take some thing ordinary and create something new! The iwood is a perfect place to start and you can find it at your local RRBF stockist.